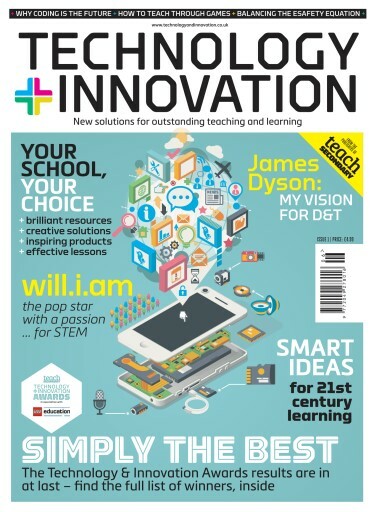 (0 Customer Reviews) | Write Review 1 issues per year Highlighting and celebrating the very best in 21st century teaching and learning, Technology and Innovation is bursting with inspiration and information for today's secondary school educators, whatever their specialist subject. The latest, most exciting products and resources are put through their paces with robust reviews and behind-the-scenes interviews with developers; there's expert advice on everything from collaborative working and the flipped classroom to establishing an effective BYOD policy and using social media with students; along with plenty of real-life stories from schools that have put creative and flexible IT at the heart of the curriculum – and a healthy dash of wry humour, too. 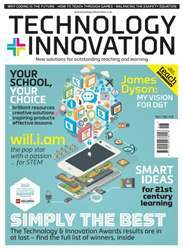 Plus, discover the winners of the first ever Technology and Innovation Awards, in association with LEGO (R) Education. It's not about gimmicks or fads – the message throughout is that 'learning comes first'; if the technology is not going to help students, or make teachers' lives easier, or both... then it doesn't matter how clever or impressive it is, it's not here. Highlighting and celebrating the very best in 21st century teaching and learning, Technology and Innovation is bursting with inspiration and information for today's secondary school educators, whatever their specialist subject. The latest, most exciting products and resources are put through their paces with robust reviews and behind-the-scenes interviews with developers; there's expert advice on everything from collaborative working and the flipped classroom to establishing an effective BYOD policy and using social media with students; along with plenty of real-life stories from schools that have put creative and flexible IT at the heart of the curriculum – and a healthy dash of wry humour, too. Plus, discover the winners of the first ever Technology and Innovation Awards, in association with LEGO (R) Education. You'll receive 1 issues during a 1 year Technology and Innovation magazine subscription. You'll receive 1 issues during a 1 year Technology and Innovation magazine print subscription.